The publicly traded RV maker is moving into the marine space with Chris-Craft. Will other acquisitions follow? It began with a collaboration to create a Chris-Craft-branded Winnebago. Those conversations started about a year before Winnebago announced it had bought the Florida boat builder in early June, says Chris-Craft president Steve Heese. Winnebago Industries Inc. purchased Chris-Craft for an undisclosed amount from Stellican Ltd., which had owned Chris-Craft since 2001. The boat manufacturer builds 18 models of sterndrive- and outboard-powered boats from 21 to 44 feet. 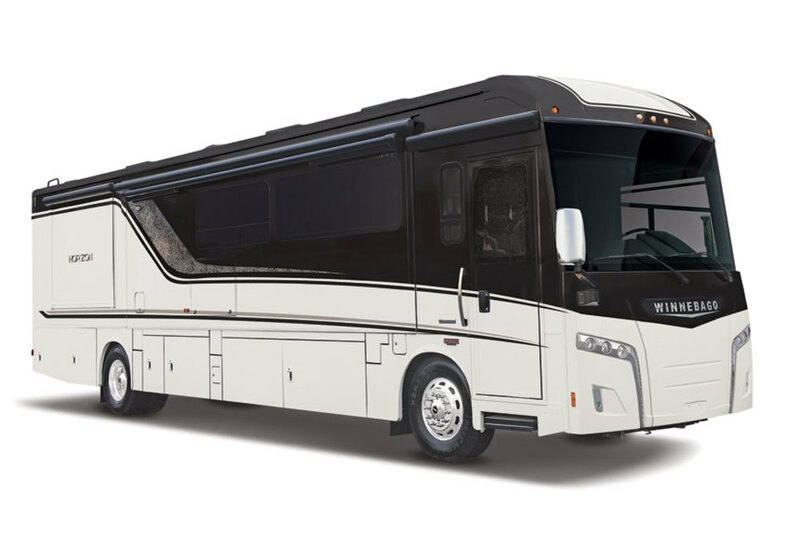 It will be led by the same leadership team in Sarasota, Fla.
Chris-Craft employs “carefully controlled, built-to-order manufacturing and dealer inventory management,” and that will provide an opportunity to share its best practices with Winnebago, the company says. “We will very, very carefully nurture the Chris-Craft brand, but we would also like to make the Chris-Craft brand a little more accessible both in terms of product offerings and even with price offerings in the future,” says Winnebago CEO Michael Happe. Chris-Craft has several 21-foot models as part of its five-year plan. Winnebago plans to invest in Chris-Craft’s facilities and dealer network as it also expands the model range. Winnebago spent $522 million to acquire the RV company Grand Design, and leveraged up its balance sheet to 2.8 or 2.9 to make the purchase, Happe says. The company aggressively paid down that debt, but returned to the 1.5 to 1.6 range following the acquisition of Chris-Craft. Hunt says there are plans to increase Chris-Craft’s dealer network, which has grown by 20 in the last two years and has six more in the works. Winnebago does not expect to see crossover in the two companies’ distribution networks. Vertical integration is a core competency for both companies, according to Winnebago. There is also “meaningful supply segment overlap” that should increase efficiency of design, manufacturing processes and improve customer-service experiences. The consolidation has been going on for some time — Malibu bought Cobalt Boats and MasterCraft acquired NauticStar last year. Correct Craft has also been acquisitive, most recently adding Bryant Boats. Patrick Industries Inc. announced it completed its purchase of Dowco Inc., a manufacturer of boat covers, bimini tops, boat enclosures, mounting hardware and other accessories, in early June. With the exception of Correct Craft, all of those purchases were made by public companies. Chris-Craft’s senior management team has signed a multi-year agreement to stay with the company after the acquisition. Winnebago expects the transaction to be immediately accretive to fiscal year 2019 earnings-per-share. Scott Stember with C.L. King & Associates estimates that it paid no more than seven or eight times EBITDA for the company — Chris-Craft had $60 million in sales last year. “The Chris-Craft brand is an amazing and iconic brand, and it seems to be more valuable than even the purchase price of the company,” says Hunt. Chris-Craft’s luxury customer base is typically less sensitive to fluctuations in the economic cycle, Winnebago says. “They have a very affluent customer base; 70 percent or more of their customers pay with cash, and these are boats with an average selling price of almost $200,000,” says Happe. It also has a strong international presence, with 25 percent of sales coming from overseas. Chris-Craft dates back to 1874, when 13-year-old Christopher Smith built his first boat. 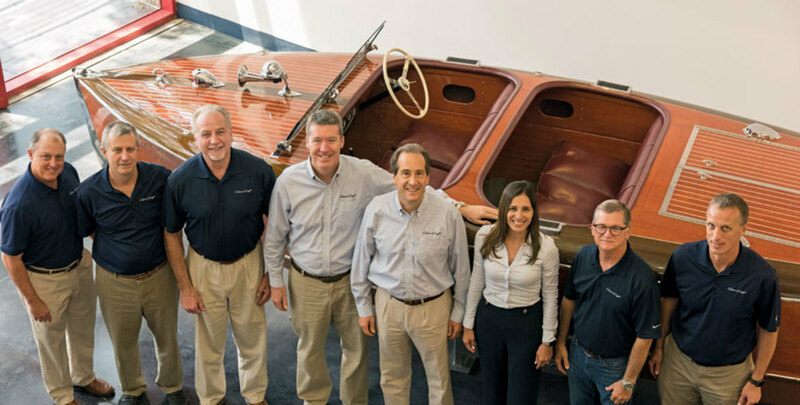 In 1927, Chris’s son Jay Smith was named president and general manager and held the position for 31 years, positioning Chris-Craft as the world’s largest builder of mahogany boats. After the family-owned business was sold and resold to Outboard Marine Corp., the brand languished, according to a 2006 article in Forbes. Through 2000, it had posted 11 consecutive years of financial losses, and damaged its reputation with years of mass-produced boats. It had also lost the rights to its own trademark when Chris-Craft’s seller, Herb Siegel, retained it for his media company. OMC spent half a million dollars a year to use it. When OMC filed for bankruptcy, Genmar’s Irwin Jacobs outbid Heese at auction for Chris Craft, but sold it a week later to Heese and his friend from Harvard Business School, Stephen Julius, who had formed Stellican to buy and later sell Riva. Siegel happened to be selling his media company to Murdoch’s News Corp. Murdoch then sold the Chris-Craft name to Stellican for $5 million. 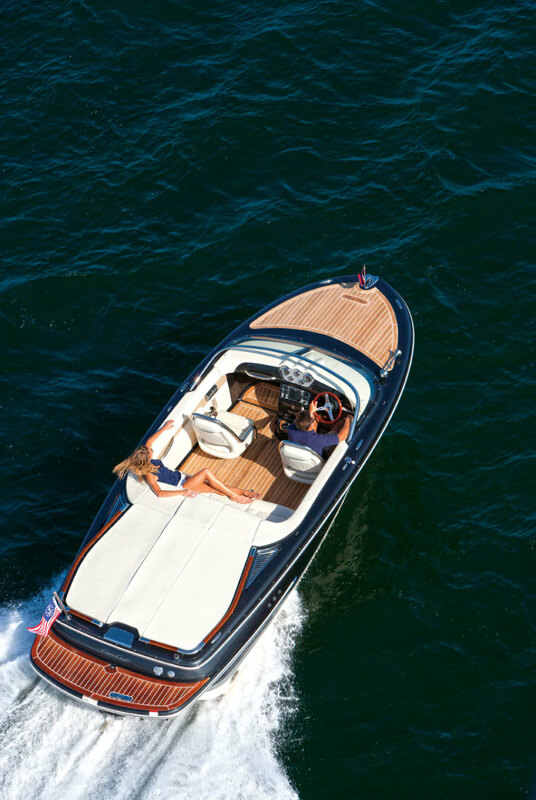 Chris-Craft turned a profit within three years by shedding the cookie-cutter models that provided 70 percent of the company’s sales. It was hard-hit during the recession, as most builders were, but stayed focused and bounced back. In the last two years, Chris-Craft has gone from $40 million in sales to $60 million, with growth forecasts of about $100 million in the next few years. “We will look to have healthy growth and focus on growing our exclusive brand at a nice, comfortable pace,” says Hunt. More millennials and Gen Xers are participating in both the RV and the marine industries, says Happe. Winnebago wants to be more intimately and digitally connected with its customers since 82 percent of them want to be connected when they’re RVing. The company also has a new specialty vehicle that could eventually become one of the first electrical recreational vehicles brought to market. Beyond its new products, Winnebago will continue its expansion in the towable sector of the RV industry since towables account for 85 percent of total market share. The company is projecting 10 percent of its revenues by 2020 will come from segments it had not previously participated in, says Happe. That could mean new RV segments or brand-new ventures like Chris-Craft.